July 17, 2012 (Raleigh, NC) – Tonic Design + Tonic Construction in Raleigh recently announced that designer/project manager Ted Arendes has joined the nationally acclaimed firm El Dorado in Kansas City, Missouri. Arendes is a graduate of the University of Kansas. He worked with Dan Rockhill at Studio 804 in Kansas before joining Tonic, a construction-led, design/build studio located in Raleigh. For five years, Arendes has worked on both the design and construction sides of the firm, both in the office and in the field. 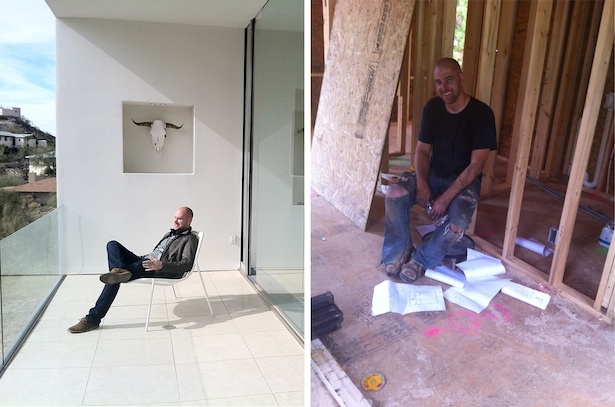 He has managed construction on many of the firm’s modernist houses, including the award-winning Smart-Stell residence in Durham; the Crabill residence in Hillsborough, which was featured in Dwell magazine in March of 2012, and the Rank residence currently under construction in Pittsboro. El Dorado was founded in 1996. Its primary office in is Kansas City, MO, and the firm maintains a satellite office in Wichita, Kansas. For more information visit http://www.eldo.us.